The NBA has been going strong since 1947 and nobody knows how long it will be around, so theoretically any record can be broken. 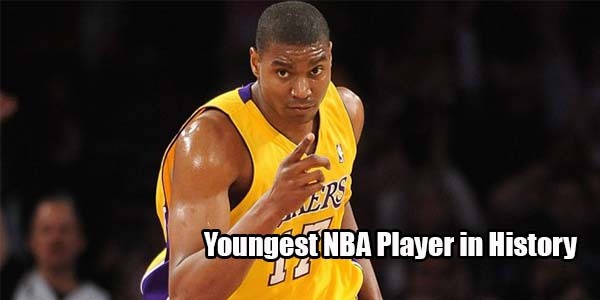 Andrew Bynum played his first NBA game only 6 days after his 18th birthday. This record will not be beaten any time soon because the NBA cannot recruit players out of high school. Even if the overturning of this rule ever becomes a possibility, the NCAA will fight it with all their might.